Home>News of Containers > It’s going from bad to worse for Hanjin! It’s going from bad to worse for Hanjin! A matter of days after Hanjin announced they would be applying for a court ruling, and their ships are getting stranded at sea after being refused entry to terminals, amid fears payment agreements would not be met. The backlog of causing such disruptions can be detrimental to the supply chains of companies from around the world. Hanjin are/were the seventh largest shipping company in the world with a market share of 2.3%, whilst also accounting for the transport of up to 20% of LG products going to the Americas; LG are the world’s second largest producer of TV’s. The timing couldn’t really be much worse, global manufacturers tend to distribute the bulk of their Christmas stock at this period of the year, in time for the Christmas shopping sprees. So for companies who are dependent on the shipping services of Hanjin, they now face a race against time to not only ensure the containers on stranded ships are released but to also quickly negotiate contracts with new partners to ensure their products can be distributed within the required time. According to Rahul Kapoor, a Singapore-based director at Drewry Maritime Services Pvt. “This is going to play out for the next few weeks.” which does obviously not make good reading for retailers who will be looking for the quickest solution possible. “We are waiting to hear the final determination on bankruptcy proceedings and the implications to their current assets before we will be able to assess any impact,” said Marilee McInnis, a spokeswoman for Wal-Mart. 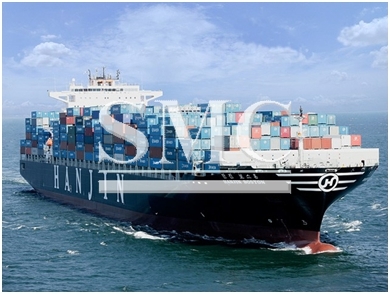 The unlikely ally to Hanjin, is looking to be their closest Korean competitors ‘Hyundai Merchant Marine Co’ who are considerably buying a number of Hanjin’s assets in a bid to merge the two companies, all of which is being largely supported by Korean economists and senior officials. Assets purchased would include a number of vessels, in addition to preserving the jobs of some of the 5’000 people employed globally. Let’s just hope this whole situation can be resolved, so retailers and more importantly, consumers are not affected by the woes of Hanjin Shipping.